More than any other artist, Claude Monet represents Impressionist painting. 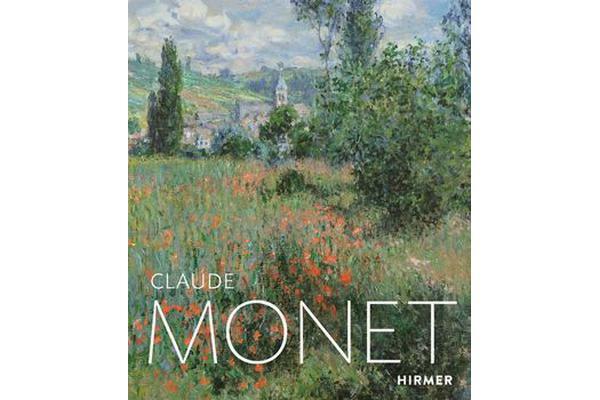 This volume illustrates Monet’s career from Realism via Impressionism to a form of painting in which the colo urs and light gradually become detached from the object. It focuses on the artist’s colour concept, an aspect of his oeuvre which has hitherto not been examined in detail, as well as his passionate study of subjects from his garden in Giverny. The French “Master of Light” (1840 – 1926) was a key forerunner of twentieth – century painting. He painted by the sea, on the steep coast of Normandy and on the banks of the Seine. Monet’s light and colours intera ct on the canvas with a nature that is constantly changing. In order to record the variety of atmospheric impressions, he painted many of his subjects in series. In his study of the world of plants and water in his garden the subject gradually becomes inde pendent of his observation of nature. In this way the artist’s late work paved the way for the painting of Abstract Expressionism.